Dr Kavvathas is currently a Chief Investment Officer with Harmony Advisors Limited at Hong Kong. Prior to that, he was a Partner at Goldman Sachs. 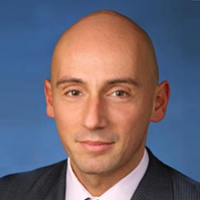 Dimitrios joined Goldman Sachs in London in 2001 and moved to Hong Kong in 2009. He was promoted to Managing Director in 2005 and was invited to join the partnership in 2008. He served in various senior positions during his career, including co-Head of Asia Pacific Securities Division Distribution (FICC, Equities, Corporate Origination Sales & Structuring), serving on the Asia Pacific Securities Division Operating Committee, the Asia Pacific Risk Committee, the Global Firmwide New Activity and Asset & Liability Committees as well as the Goldman Sachs (Asia) L.L.C. Board of Directors. He started his career in Fixed Income and held positions in interest rates, FX, commodities, credit derivatives, structured finance, equity derivatives, high yield and convertible bonds, as well as covering and interacting with all clients groups, including asset managers, financial institutions, pension funds, corporates, sovereigns and HNWIs. Dr Kavvathas joined VTB Capital in 2013, where he served as Head of Global Markets – Asia Pacific, responsible for fixed income and equities sales, trading and origination as well the China, India and Vietnam bank branches’ market and credit risks. In 2014, he joined Noble Group as co-Head of Financial Services, responsible for Structured Finance, Commodity Enhanced Finance, Customer Coverage, Capital & Origination, while simultaneously overseeing the Group’s technology and strat./quant. teams. He served on the Group’s Risk Committee as well as the Global Credit Committee – the governance body monitoring credit, market and operational risks across physical commodities and financial markets. He jointly oversaw the Group’s principal credit, market risk investing, as well as the Group’s balance sheet/liquidity management and strategic stakeholder engagement efforts. Dimitrios earned his B. Sc. in Economics graduating in 1995 as valedictorian from the Department of Economics at the Athens University of Economics and Business. He was awarded his PhD in Economics at the Department of Economics at the University of Chicago in 2001, where he also earned his MA in Economics in 1997. During his time at the University of Chicago, Dimitrios worked as a lecturer at the School of Social Sciences and as a teaching and research assistant at the Graduate School of Business. Since 2013, he has been appointed Adjunct Professor at the School of Economics and Finance at the University of Hong Kong.